Insurance broker, Lonsdale, has reported a sharp rise claims for ‘smash and grab’ thefts by scooter gangs. These gangs are particularly targeting computer equipment so businesses that are predominantly clerical/IT-based with a high street shop front – such as estate agents and even solicitors and insurance companies – are being warned to protect themselves. The gangs target the premises at night when the business is closed, smash the windows and then run in to steal computers. They then make a getaway on scooters. The average cost of replacing a plate window is around £1500 but other costs can include interior damage, replacement of signage and of course loss of IT equipment. The loss of data can be even more devastating and potentially quite sensitive due to the nature of a legal practice, for example. Window displays are an essential marketing tool for an estate agent so while it may not take too long to replace, a boarded-up window never looks good. 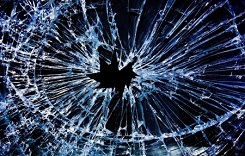 How can you prevent a smash and grab burglary? Obviously a physical barrier between the window and the street will prevent anyone gaining access to the window and also causing damage. These are fairly unsophisticated break ins; simply throwing something heavy against the window to break it. They wouldn’t usually even attempt to get through a security shutter. You may think that CCTV is only useful after the event for identifying suspects but it is also very useful as a deterrent. Most will choose somewhere that has no such system over a business that does. Of course, smash and grab robberies still remain an issue for retailers with major London stores of both Apple and Canada Goose falling victim to these types of break in just this week so all shop outlets need to remain on high alert. Of course all businesses need to ensure they have sufficient insurance coverage should the worst happen. If you require further advice about securing your office or shop you can call us on 0800 612 9799 or send us a message.